After partaking in the gambling, complimentary drinks, and legendary nightlife of Las Vegas, consider including a few ski days into your vacation. There are several major snow-filled resorts located within an easy driving distance to the Las Vegas strip for a short overnight stay or even a day-trip. As a bonus: No matter what time you return to the city from the slopes, the town will be up waiting for you. Get up after a long night, and you can get from the Las Vegas strip to the lifts in about 30 minutes. Lee Canyon is the closest ski area to the Las Vegas strip, and while it may not be a huge resort, it will help you satisfy that urge to make a few turns. If you want to ski or snowboard and be back fast, then this is the place to go. Address: 6725 Lee Canyon Rd, Las Vegas, Nevada 89124. Brian Head is close enough to Las Vegas that you can make it a quick day trip. They have a great kids program and plenty of other winter activities, like the Last Chair Saloon with a wide selection of beers on tap, to keep the non-sliders occupied. Address: 329 South Highway 143, Brian Head, Utah, 84719. Distance to the Las Vegas Strip: 211 MilesLocated in the San Bernardino Mountains just an hour east of Los Angeles, snowboarders will love the two resorts here as there are countless opportunities to grind, slide, jump and whatever else is the new trick of the year. Snow summit resort has a fun family park, and Bear Mountain is a Mecca for snowboarders. Address: 880 Summit Blvd Big Bear Lake, California, 92315. Address: 150 S W Village Circle, Beaver, Utah, 84713. Distance to the Las Vegas Strip: 312 MilesGet to the top of the gondola and look straight down — pure adrenaline awaits. Sure it is a bit of a drive from Las Vegas, but Mammoth Mountain will satisfy every winter craving you have whether you are on skis or a snowboard. Address: 10001 Minaret Road, Mammoth Lakes, California, 93546. The need to ski or snowboard must be urgent to make the trek all the way to Park City, but you will not be disappointed once you have arrived. 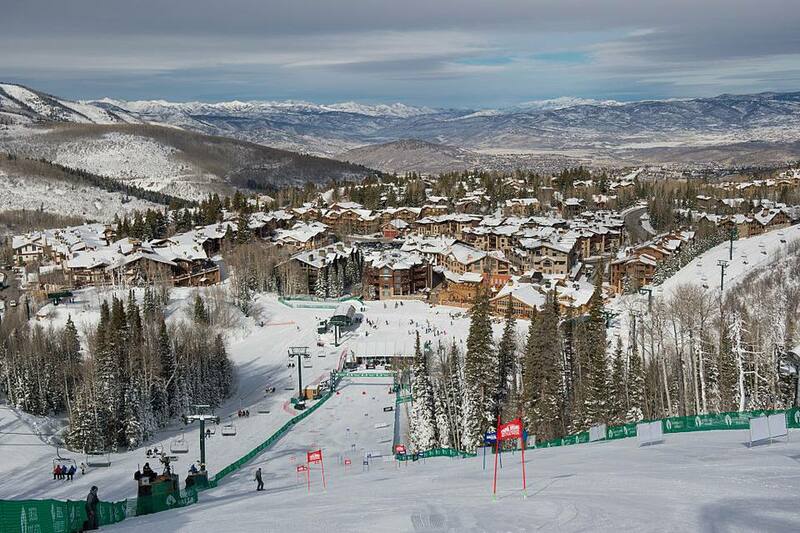 Choose from the top-notch Park City Mountain Resort, Deer Valley Ski Area or the Canyons Resort. Address: 1345 Lowell Ave, Park City, Utah, 84060.